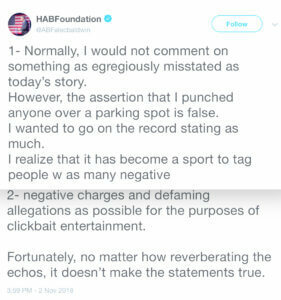 Actor and talk show host Alec Baldwin opened up about the incident last week in which he was charged with assault and harassment in connection with what has been reported as a dispute over a parking spot. As we reported Friday, Baldwin was arrested in New York and accused of hitting another man in the face, according to media reports. You can see his two tweets on the subject below, from Friday afternoon. “Baldwin, 60, told police a family member was holding the spot in front of his Manhattan home when a man driving a Saab station wagon pulled up and took it,” the AP reports. 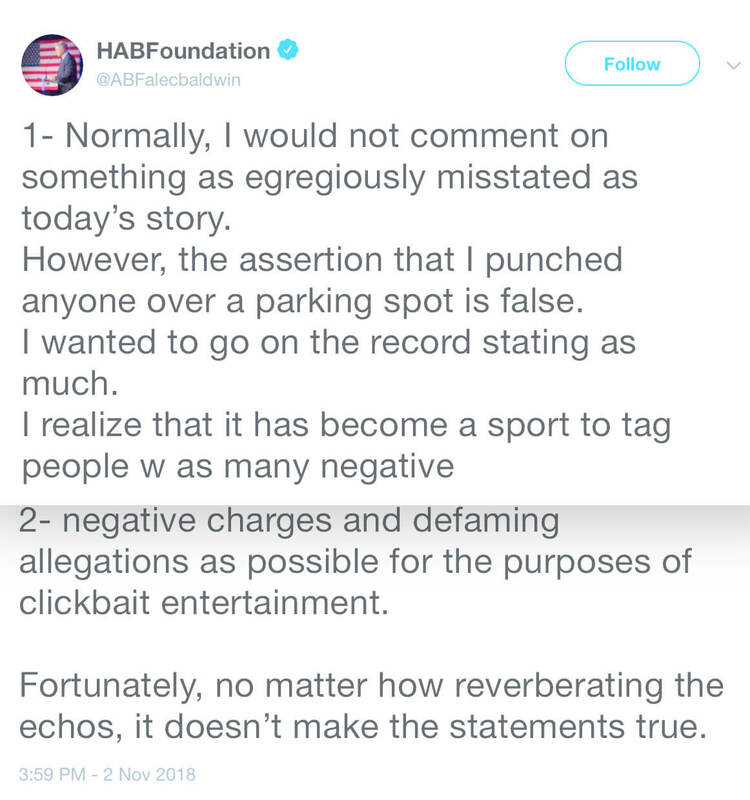 “The driver of the station wagon told police Baldwin hit him with his hand, but he wasn’t sure if it was a punch or a slap. Baldwin, who recently launched “The Alec Baldwin Show” on ABC, has a court appearance scheduled for Nov. 26.